In some ways news headlines in the 20th century were not much different than those of the 21st century. Education issues were hot news items. These headlines from 1910 led Iowans to wonder if children in rural areas were getting the best education available. And there was the question concerning quality of education in the state’s rural schools versus city schools. Iowa State College (now Iowa State University) professor C.F. Curtiss laid much of the blame for rural areas losing population to poor rural schools. “The poor educational system in the rural schools of Iowa is responsible for the loss of population in the country districts,” Professor Curtiss said in a speech in December 1910. He cited problems he saw as factors that hurt rural areas. Teachers in rural schools were part of the problem he believed. New, inexperienced teachers took jobs in the rural schools; but after they had a few years under their belts and had become better qualified, they left for city schools. The “local control policy” that was prevalent in Iowa’s school systems also was a detriment to quality education according to the professor. With so many small “weak” schools scattered throughout a county, the local control was “fatal to efficient organization.” He recommended consolidating schools into one school per county. Not only were Iowans leaving the farms, many were moving to other states in search of a better quality of life and better schools. Professor Curtiss said education leaders should make an effort to “more directly relate schools to the work and life of the people.” He wanted schools to do a better job of meeting the needs of the modern world. In his opinion rural schools needed more high schools, and they should offer agriculture and home economics classes. Although he admitted small schools weren’t solely responsible for farm families leaving the farm, he pointed to the education system as a major factor. Poor roads and inadequate “social conditions” of farm communities added to the farm exodus. While farmers were enjoying prosperous economic times in 1910, many were seeking “higher standards of life” for themselves and their families. That meant many were searching for better education systems for their children. 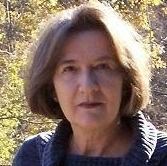 “We have a great number of rural schools that ought to be abandoned for some better system,” Professor Curtiss remarked. The professor’s recommendations were echoed by the top educator in the state in 1910. Superintendent of public instruction John F. Riggs agreed that closing or consolidating rural schools would solve some of the state’s education problems. He recommended closing schools with fewer than six students. He offered dismal statistics to emphasize his point: The state had eight schools with enrollment of one student; 25 with only two, 55 with three, 124 with four, and 195 with only five students enrolled. Superintendent Riggs said it was time for the state legislature to regulate the consolidation process. He said the rural schools had decreased by almost 14,000 students in the previous three years. He said the total enrollment in Iowa’s schools had decreased by over 55,000 over the previous 10 years. “That’s not a gratifying showing for a state that has prided itself on its education standards,” Riggs remarked. 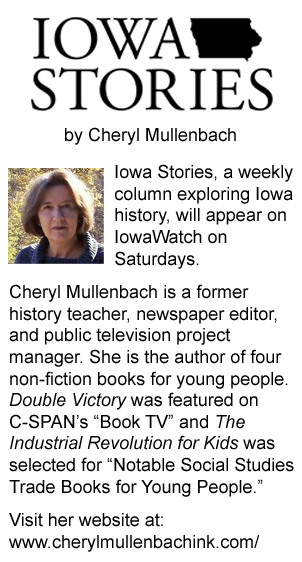 Read other Iowa Stories and learn more about author Cheryl Mullenbach at http://www.cherylmullenbachink.com/. What Happened to Private Ross? Private Harry Ross’ family believed he was discharged from military duty and sent back to the United States. That’s where Private Ross’ trail goes cold. He never returned to Des Moines where his mother eagerly awaited his arrival.